The major seaport city of Charleston, SC is a peninsula formed by the Cooper River on the east side & the Ashley River on the west side which flow into the Atlantic Ocean at Charleston's harbor. 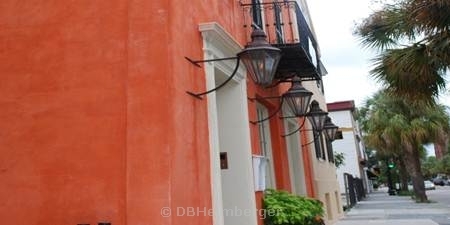 Charleston's historic district contains houses, churches & buildings that are hundreds of years old. The city has a building height restriction ordinance, so you won't see tall buildings along Charleston's skyline.... but you will see the spectacular Arthur Ravenel cable-stay bridge over the Cooper River & Charleston's many church steeples dotting the vistas from most points around the city. Visiting Charleston is like taking a trip through time! 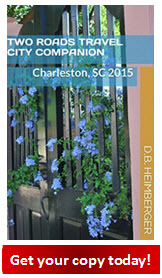 In fact, Charleston's primary attraction to visitors is its historical setting and landmarks. Did you know that there are over 1,400 mansions and other historic buildings that have been preserved in Charleston's Historic District? Charleston, the oldest city in South Carolina, was founded by colonists in 1670. Preservation over the centuries has been key in this city.....there are nearly 200 churches, public buildings, meeting places, & homes that are listed on the National Register of Historic Places. Many of these buildings were painstakingly repaired after the devastations of fires, hurricanes & the Civil War. Visitors to Charleston can get a glance back at the lifestyle of Charleston's early residents by viewing the antebellum narrow row houses & the colonial period houses with their steep-sloping tile roofs in the city's oldest neighborhoods, take an iconic horse-drawn carriage ride through the city while learning its history, or see the site of the first shots fired in the Civil War at Fort Sumter. 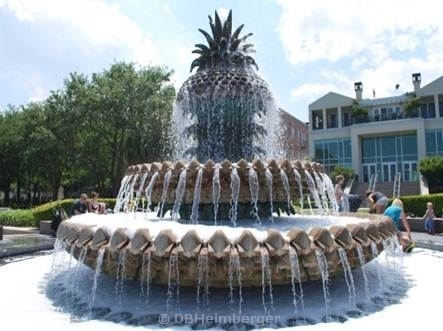 The bottom line is..... you never run out of things to see and do and learn about in Charleston!